Attend the workshop, and leave for Bangkok. Abstract: In the mountainous areas of continental Southeast Asia, weed control is an important factor in determining the fallow period of shifting cultivation. Usually, when harmful perennial weeds increase, shifting cultivators wait until they are suppressed by woody vegetation, using fallow period of ten years or more. However, in special cases where certain types of vegetation cover fallow fields, the length of the fallow period can be significantly shortened. In South Rakhine, Myanmar, bamboo forests dominated by Melocanna bambusoides cover fallow fields. 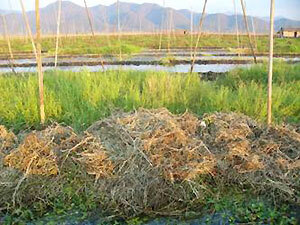 Thus, perennial weeds are quickly suppressed, and the fallow period needed for weed control is just three years. However, in fields near settlements, because the bamboo shoots are eaten, mainly by livestock and because bamboo forests do not grow well, long fallow periods of more than ten years are necessary. 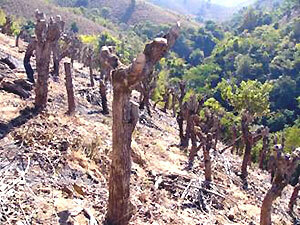 Although locating fields for shifting cultivation far from settlements has great advantages in terms of weed control, the activity of shifting cultivation in remote areas has changed, depending on security. When public security is well guaranteed, shifting cultivation with a short fallow period is the best way for people without property to produce provisions for their own consumption, as well as to gain quick cash income. Publish the achievements of the workshop.